Officially licensed to Gotoh by Wilkinson. A unique, high quality tremolo with saddles that lock to the steel top plate for better tuning stability, string energy transfer and sustain. The baseplate holes are elongated so the mounting screws won't bind, for smooth, accurate pitch return. 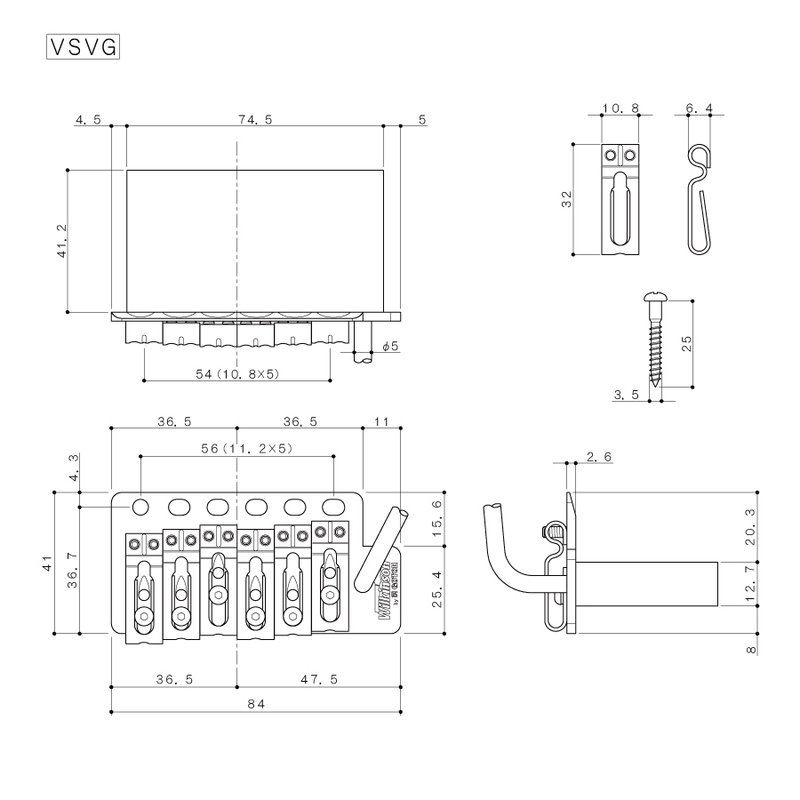 For tuning stability, the string mounting holes are staggered in the steel block for more consistent string angle over the adjustable locking bent-steel saddles. 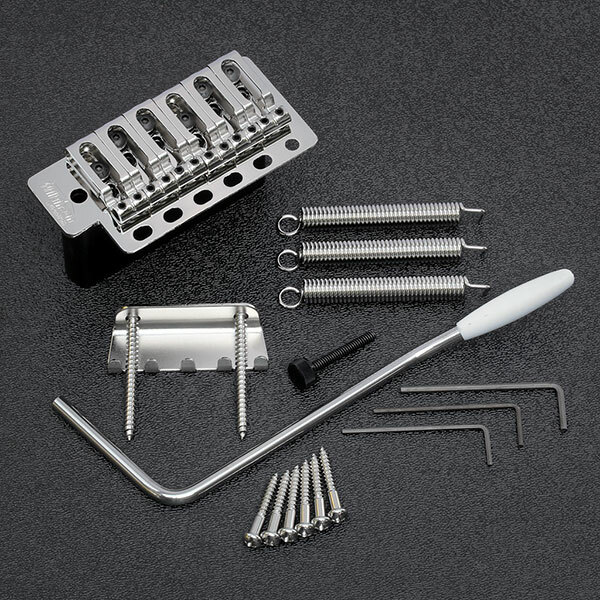 2-1/8" string spacing..
Includes 3 tremolo springs, claw, tremolo arm with white plastic tip, mounting screws, saddle adjustment screw and hex wrenches. The VSVG is Trev Wilkinson's redesign of the traditional Strat® tremolo, replicating the size, weight and materials of the original '54 Leo Fender design, with improved sustain and tuning stability. The major problem with the original bridge is that the 6 mounting holes and 6 mounting screws can bind in use, creating tuning instability. The VSVG's unique knife-edge makes 5 of the holes into elongated slots so it is not possible for the bridge to bind. The 6'th hole is retained as normal so lateral position on the guitar is retained. The bent steel saddles replicate that vintage 'sparkle', but lock in place for enhanced tone transfer and sustain, and the height adjustment screws are recessed giving the bridge a smooth feel. The steel block has a redesigned staggered string hole pattern to achieve a more consistent angle over the saddle's intonation point, further assisting tuning stability.